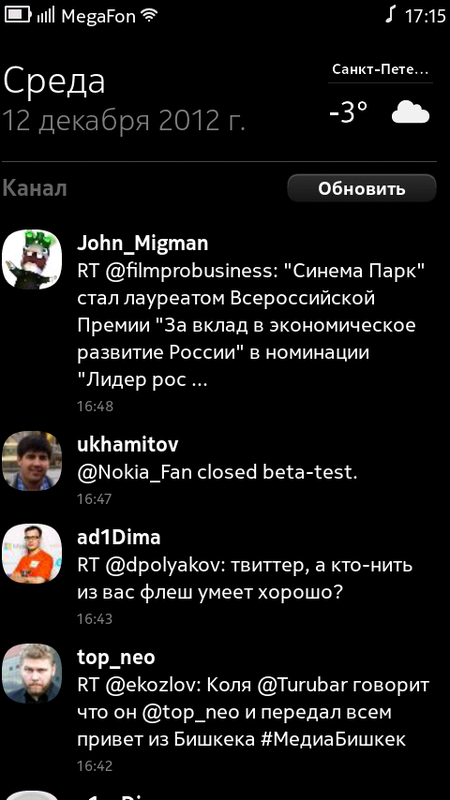 Awesome mobile twitter client for MeeGo Harmattan with personality. 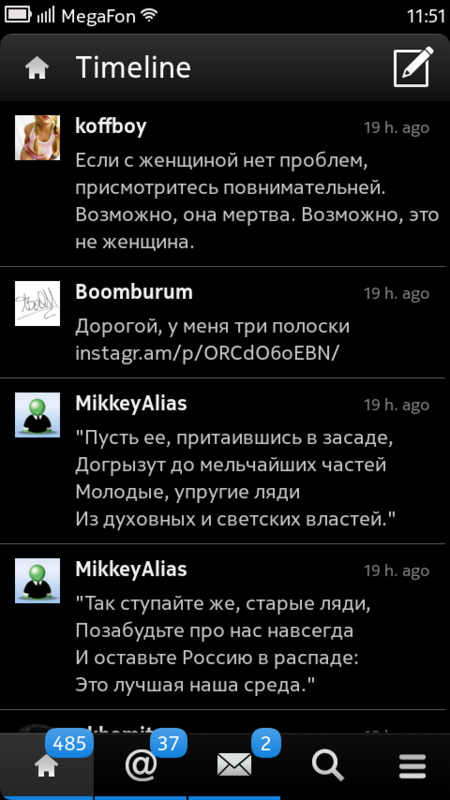 Full of features and stunning design, Rocket is a social media tool for all your needs. View images in the app hosted on twitter, twitpic, flickr, yfrog, movapic, molome, youtube, instagram, picplz, lockerz, img.ly, 9gag.com, via.me and direct urls. 32 services supports! Pebble SmartWatch support via RockWatch application. This is really nice! Still works July 2016. I had to sign in a couple of times and re-launch to see any tweets (just after my first install) but after that it is now perfect. 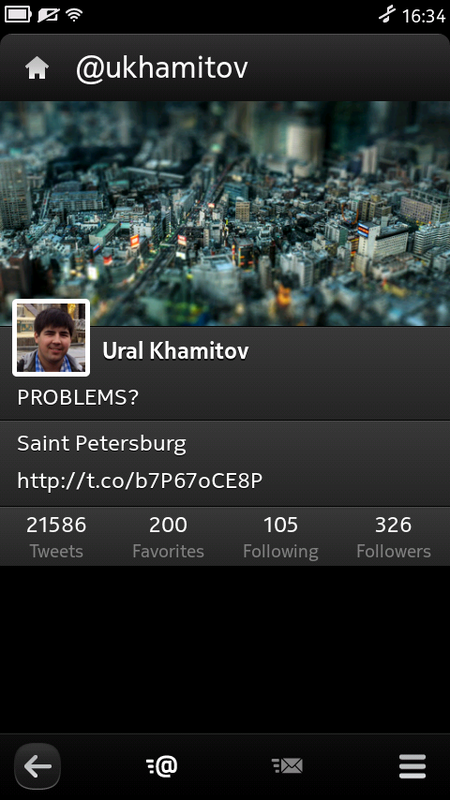 SailfishOS needs a good client for twitter like this. 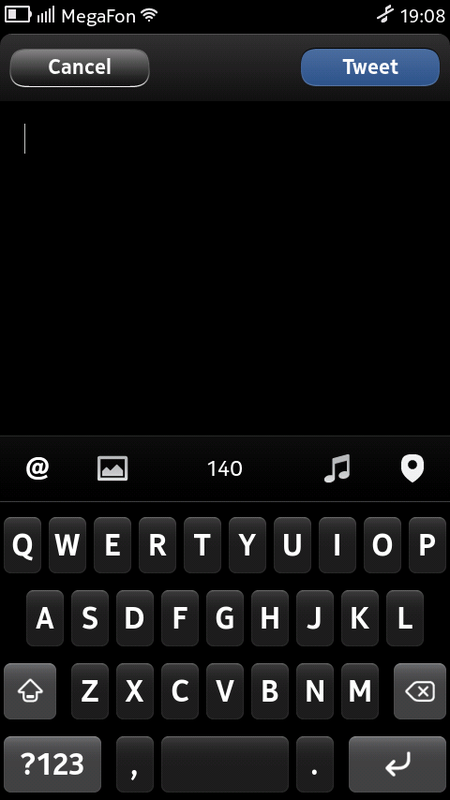 Or the Tweetian, but Tweetian - as well the 4sail - are presenting problems with QT5 libraries Location, unable to interact with the GPS, if the Rocket doesn't have the same bug, launch soon to SailfishOS! Please!!! !